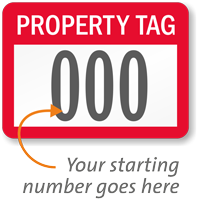 Header Property Tag Consecutive Numbered Labels, 0.75in. x 1in. Available in destructible vinyl material, this label breaks apart after it has been tampered with! • Help thwart vandals. 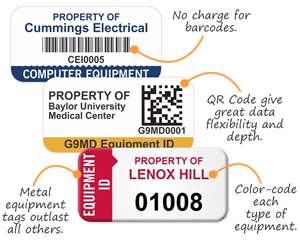 Destructible vinyl labels cannot be reused. Available in other materials too. 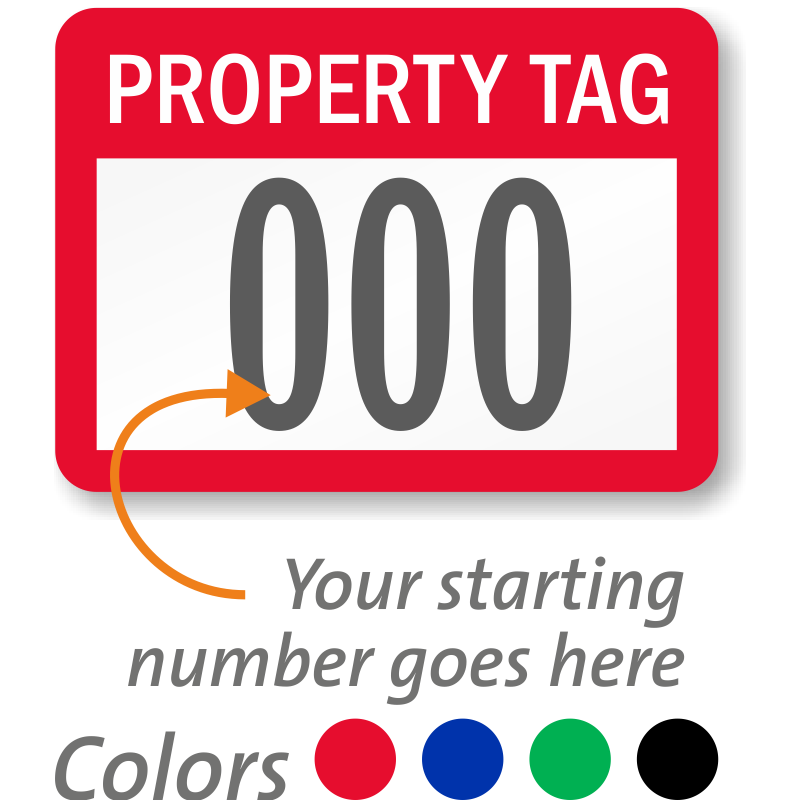 • Select your label color and starting number of upto three digits.